The Back to School Challenge (formerly known as Coaches’ Challenge) is a friendly competition between TeamMates chapters with a shared goal to connect more caring adults and young people through quality mentoring relationships. 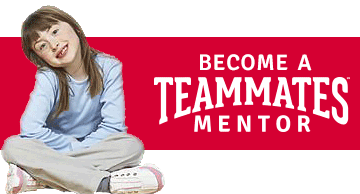 Right now, one out of every three young people will grow up without the support of a mentor. With your help, we can help close that gap and make an impact on youth across Nebraska, Iowa, Kansas and Wyoming. 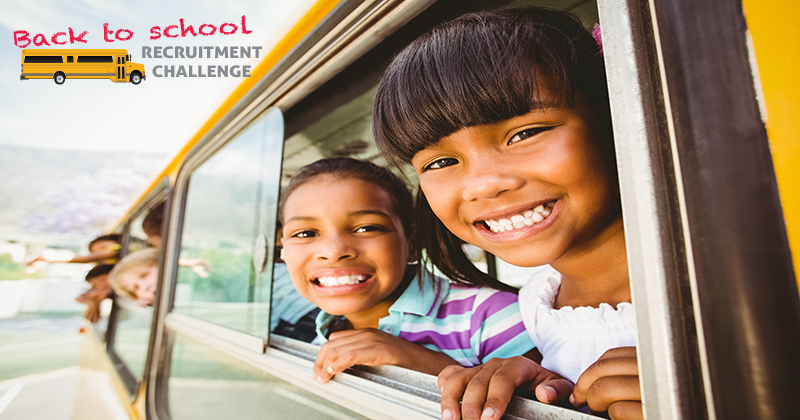 To promote the Back to School Challenge in your community, download our customizable toolkit. Please check the TeamMates Facebook page for updates and more marketing materials to promote the challenge. Nov. 2 – School Spirit Day- Show your school spirit by wearing your Alma Mater’s colors, gear, or logo! Encourage your local business partners to fundraise for your local chapter on this day. What do other chapters do during the Back to School Challenge? The Back to School Challenge is formerly known as Coaches’ Challenge. We’ve collected ideas throughout the years of what other schools and communities do to recruit mentors during the Challenge. Though the challenges have different names, they are essentially the same idea. School Spirit Day will be Friday, November 2. Much like Jersey Day in the past, communities can use this day to raise some money for their local TeamMates Chapter! Marketing materials can be found in the toolkit above. For more information, contact your Regional Coordinator.